Absolutely stunning! 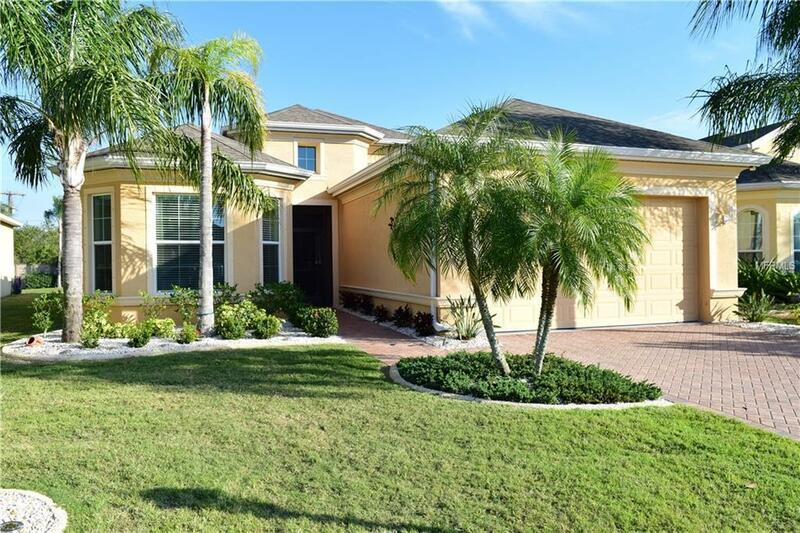 This newer Club Renaissance home has space, beauty, modern appeal, great views and is bright & sunny. Great appeal starts with a lush lawn, flowering annuals and a brick driveway surrounding a Mediterranean themed home. 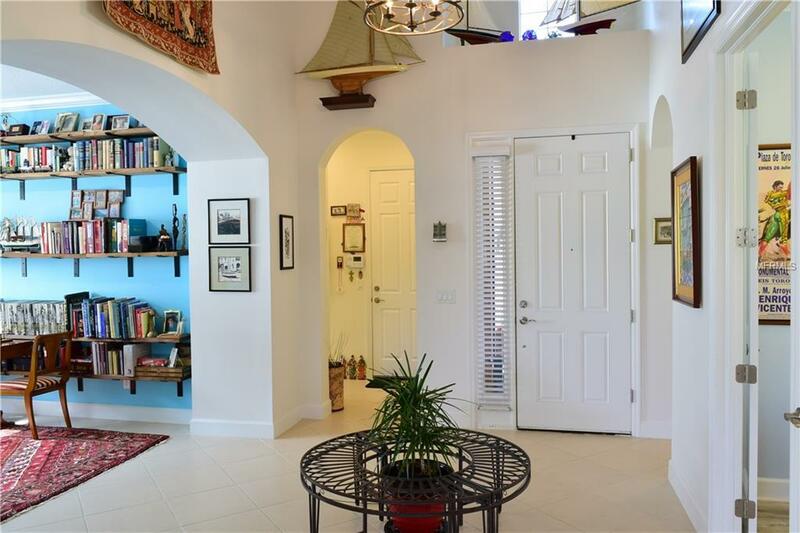 Upon entering, you are greeted with high ceilings, huge arched entries, tile flooring, a tall French door and modern light fixtures. The floor plan is wide & bright making the home comfortable. Stepping into the great room, you instantly feel at home! 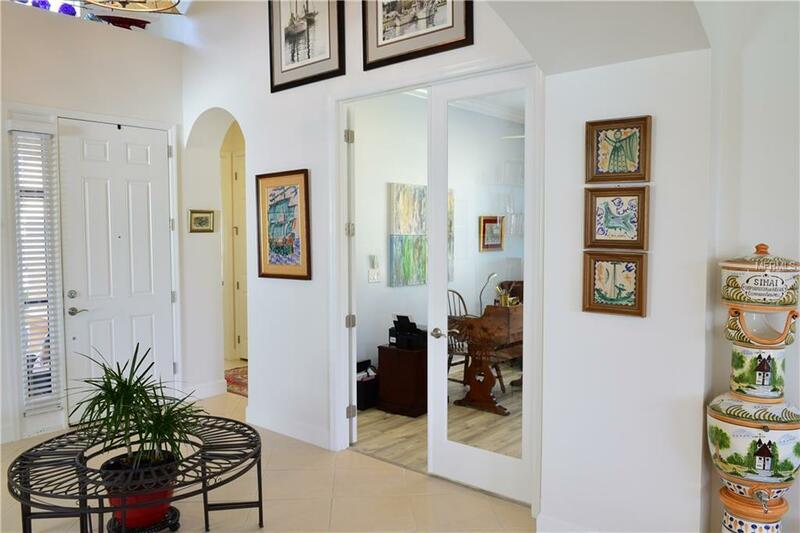 The great room is the center piece of the home being open to the large extended lanai & beautiful white kitchen. The kitchen features white wood cabinetry topped with granite, a sparkling custom back splash, stainless steel appliances including a built in wall oven, separate cook top, microwave oven, super quiet Bosch dishwasher, under cabinet lighting & an amazing granite buffet-styled center island perfect for relaxed living. The owners suite is beautiful with a tall bay window, crown molding, window treatments & a high tray ceiling. Entering the bath, you have two walk-in closets, a large walk-in shower with seat, his and her sinks surrounded with granite & a private water closet. The secondary bedroom is quiet and separate from the daily life offering privacy to your guests. 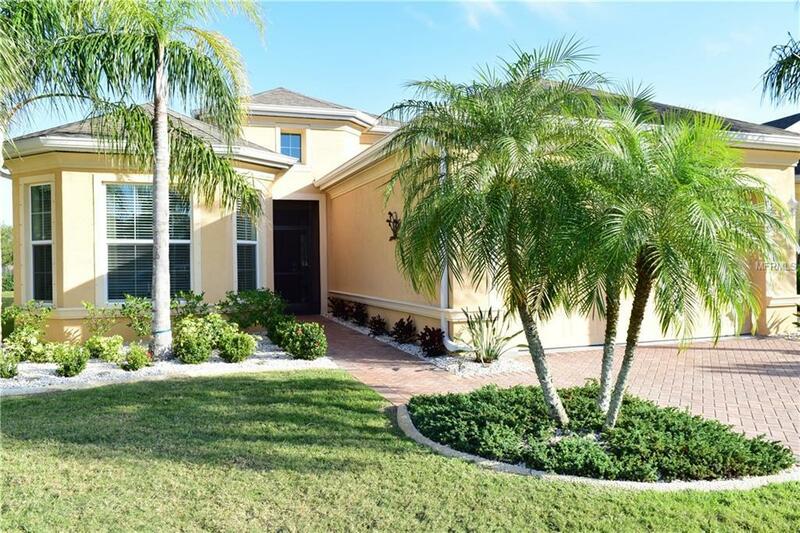 The extra large rear lanai is one to be seen with great water views along with sun & shade. Lawn maintenance is provided by the association giving you more free time to enjoy friends, family & the magnificent Club Renaissance. Call today!